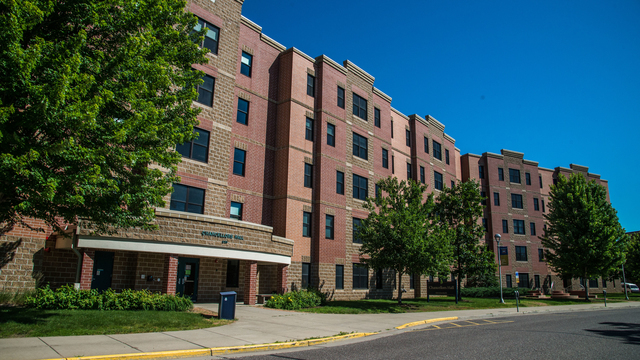 UW-Eau Claire is here to become your home away from home. 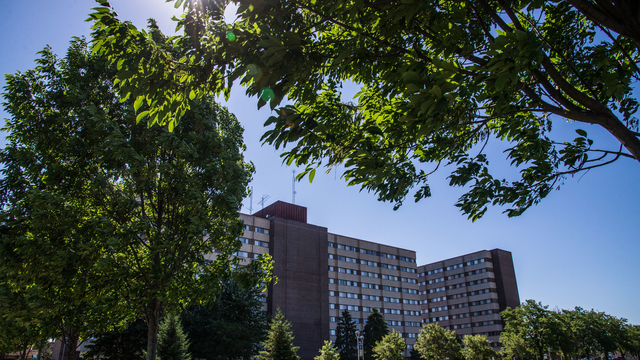 Each of our residence halls has its own personality to fit the needs of what you are looking for during your time on campus. Whether you like it quiet or want more of a social atmosphere, you can find your fit. Residence life will also give you the opportunity to experience the value of being part of a diverse community as well as develop and test human relations skills, personal value systems and leadership skills. Living in the residence halls is great! There are so many of your friends close by. And the food is MUCH better than at high school cafeterias. Jakob Broesch | Information Systems | Merrill, Wis. 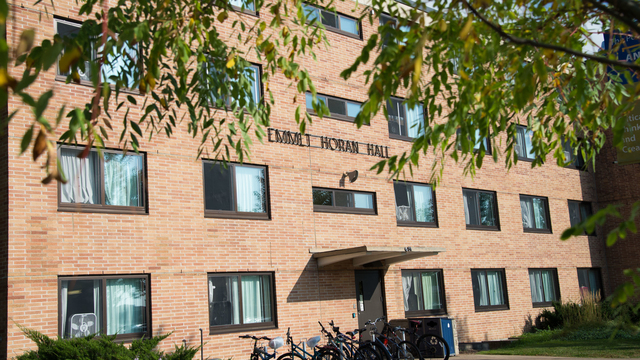 Located on upper campus, Bridgman Hall is co-ed and home to the Honors Living Learning Community. 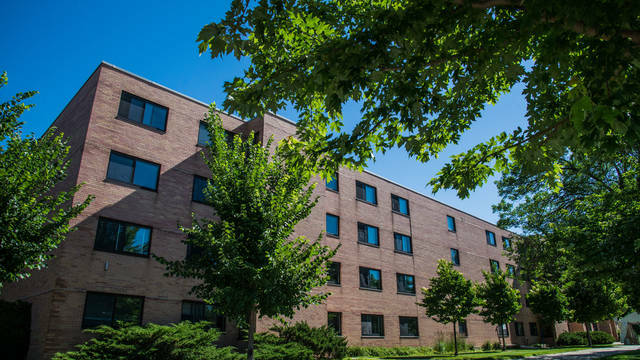 Located on a scenic ridge overlooking Putnam Park and the Chippewa River on upper campus, Chancellors Hall is an apartment style residence facility for upperclassman. 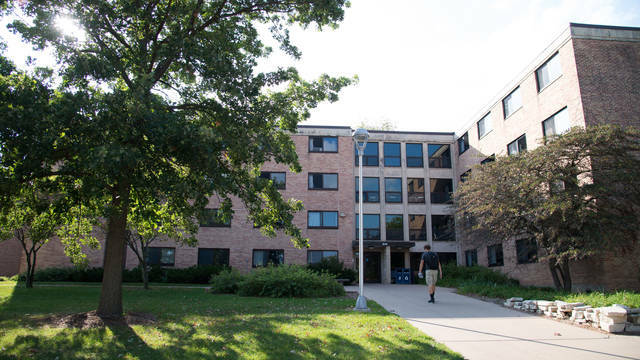 Named in honor of past, present and future Governors and built in 1962, Governors is a co-ed residence hall located on upper campus featuring the Leadership Living Learning Community and is within walking distance to Crest Wellness Center. 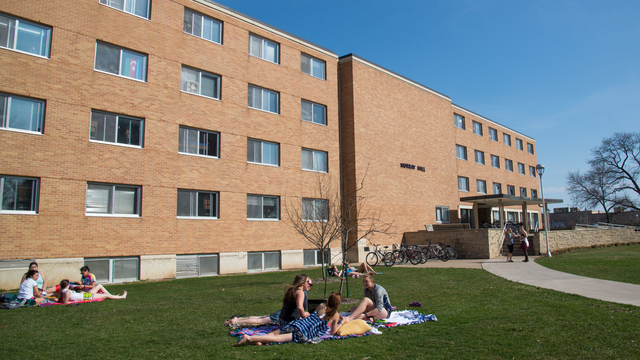 Horan Hall is a co-ed dorm on upper campus. 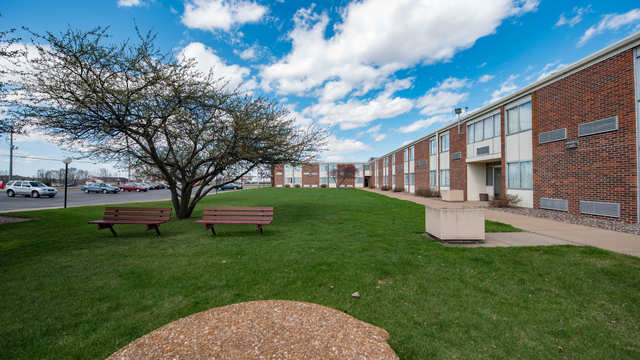 Walk right out your door and just a few steps to get to Hilltop Center, home to the upper campus cafeteria. 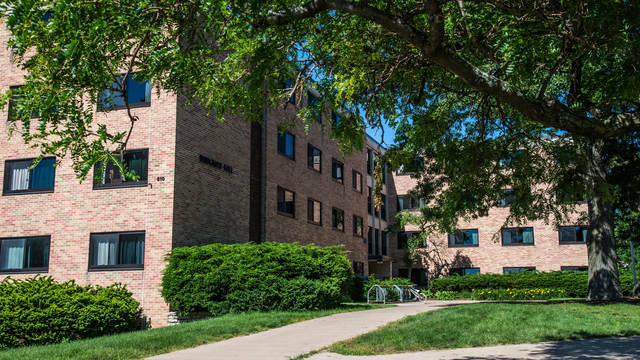 Karlgaard Towers includes two separate residence halls - Marilyn Karlgaard Hall and David Karlgaard Hall, located on upper campus, overlooking the beautiful Chippewa River. This is the home for the Outdoor Adventure Living Learning Community. If you’re looking for a bigger hall with a smaller feel, Murray Hall could be just right. Some may even say it’s in the perfect location on upper campus because it’s close to the food and all the activities going on at the recreation center. 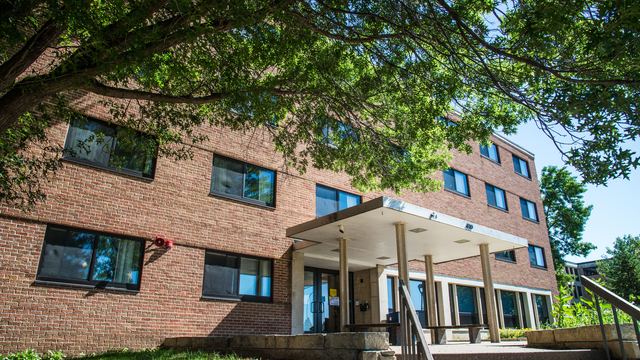 Oak Ridge Hall is a coed residence hall located on upper campus featuring the First Year Residential Experience (FYRE) Living Learning Community and easy access to a bus stop for convenient transportation to lower campus and city bus routes. 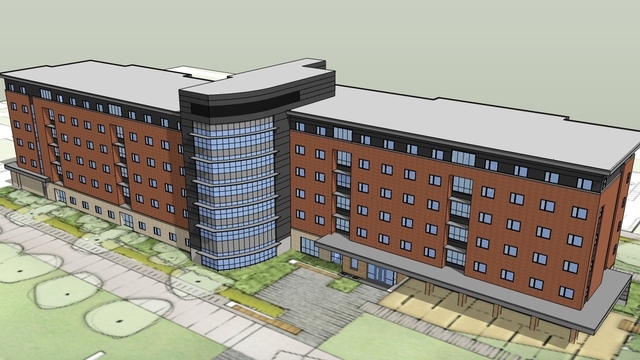 UW-Eau Claire's new residence hall will provide occupancy in time for the beginning of the 2019-2020 school year. 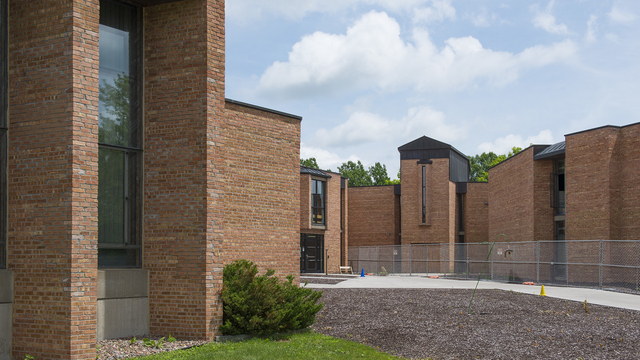 This co-ed housing facility is located on upper campus near Crest Wellness Center, and is home to both the Social Justice Living Community and the Sustainability Living Learning Community. 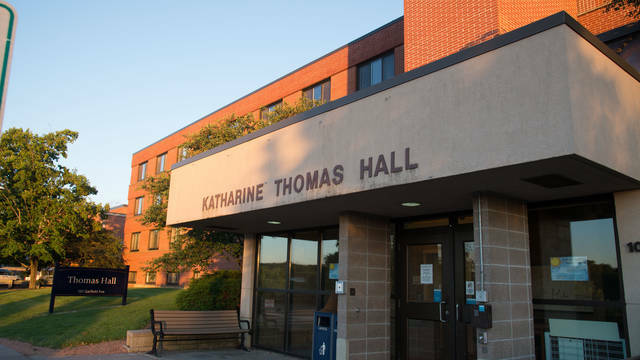 Named after Katharine Thomas, a member of the first faculty (Teacher Education, 1916-1946), Thomas Hall is located on lower campus on the Chippewa River near academic buildings and the McIntyre Library. 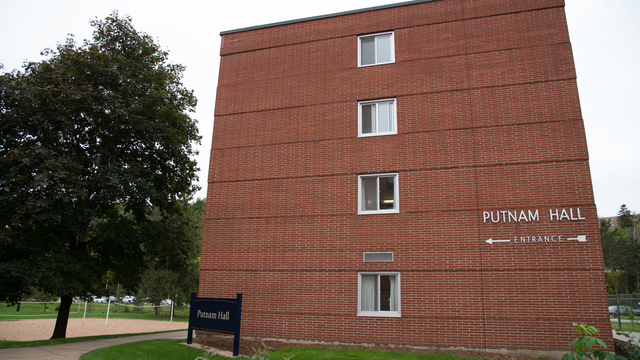 Located on lower campus, Putnam Hall is a coed dorm focused on fostering lasting relationships between residents. Built in 1957, it was the second hall built on the UWEC's campus. 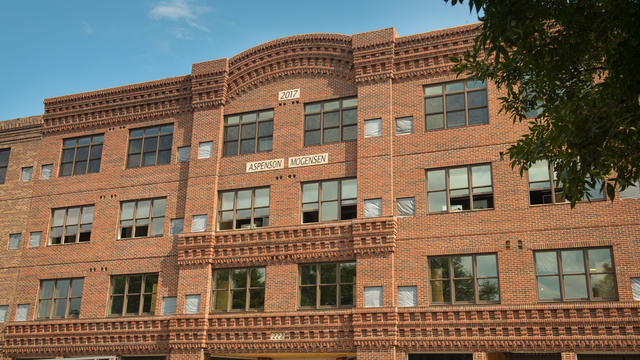 Located just across the street from parts of lower campus, this new apartment style residence hall houses 200 students in one, two, three, and four bedroom units. Within walking distance of UWEC, the Campus Hotel is used by the university for student housing. With virtually the same amenities as the dorms, you will get the full community experience, with an off campus feel. Haymarket Landing offers university-sponsored housing in an off-campus location. 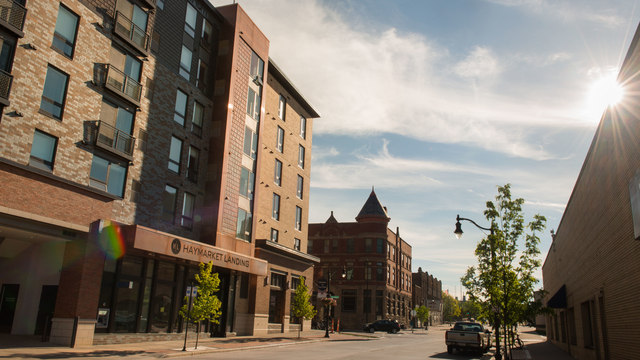 Experience apartment-style living within walking distance of campus. Priory Hall, formerly a Catholic Monastery, was purchased by the university in 2013 and has been home to Blugolds ever since.